"Give Your Life a Tune-Up!" Have you ever had that feeling of being "off" or "out of sync" - as if you're somehow working against yourself and out of tune with the real you? That's much more than just a metaphoric way of explaining a certain state of mind. It's actually a very accurate reflection of what is happening within you at those moments. You see, sometimes your conscious mind wants one thing. But your emotions and behaviors are sending out a signal for something else. If you're not aware of what's going on, your conflicting goals will cancel each other out. In those moments, your two selves are quite literally out of tune. But when your inner and outer selves send the same signal - when they're in resonance - you're clear about what you need and desire, and your emotions, thoughts, feelings, and desires all match. And you have a much greater chance of getting what you want in each area of your life. 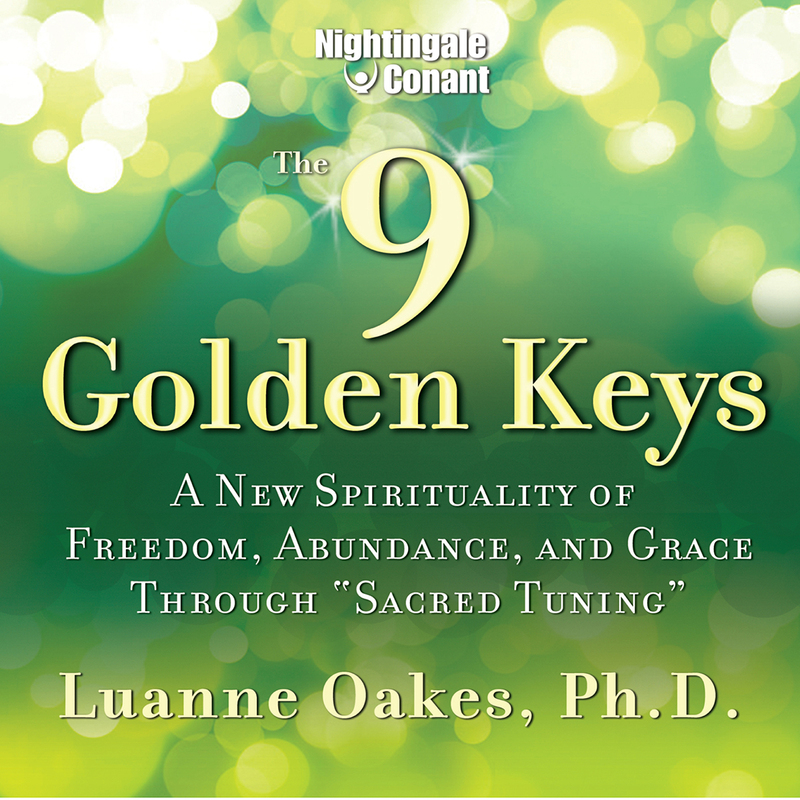 Helping you achieve this inner resonance was the focus of Dr. Luanne Oakes's fifth and final program, The 9 Golden Keys. Of the multiple bestsellers she created for Nightingale-Conant, she considered this one of her very best. I couldn't agree more, which is why I'm writing to you today. This extraordinary experience is one you simply must not miss out on. The 9 Golden Keys is a multidimensional program that will help you achieve that resonance - and much more. In it, you'll discover the step-by-step action plan Luanne shared with her clients for overcoming fears, preventing and healing major losses, and realizing a new freedom and happiness. Plus, for the first time ever, Luanne performed the entire program in "Sacred Tuning." Sound vibrations that are primarily digital and synthetic (such as most music, cell phones, and computers today) are tuned at 440 hertz. But ancient instruments - such as chamber organs and trumpets - were tuned at 432 hertz, which is the true resonance of the human heart. You've probably heard that technology can have negative side effects on your mind and body, but you may not have known why. It's because things that resonate at 440 hertz can knock you "out of tune" with your heart and cells - your innermost self. The 9 Golden Keys is a full-spectrum healing masterpiece that contains specific methodologies you can use to quickly return to and maintain a state of inner calm, balance, and joy. I urge you to take this opportunity to experience it for yourself! P.S. If you're familiar with Dr. Luanne Oakes's work, you probably already know how her unique sound-frequency treatments help you to immediately feel peaceful and in tune with your surroundings. If not, you're in for an incredible experience. The 9 Golden Keys takes these treatments to a whole new level. Performed entirely in the "Sacred Tuning" of 432 hertz, the program will effortlessly bring you back to your true and joyful self once again. I want a step-by-step action plan for using my innate power to overcome fears... prevent and heal major losses... and achieve new levels of freedom and happiness! The 9 Golden Keys for the special price below. I can select one of two ways of ordering.